There is nowhere else in the world like San Pedro de Atacama. It may be the driest desert on the planet, but the Atacama is also home to large white salt flats, steam spitting geyser fields, colorful Altiplano mountains and cactus valleys, extreme volcanoes, and clear, star-filled night skies. Alongside the breathtaking landscapes, there is a plethora of wildlife: pink flamingos, serene guanacos and sun bathing lizards. But that isn’t the only life here. A vibrant community of locals and travelers create a welcoming and relaxing town that makes San Pedro de Atacama a world-class destination. The Atacama seems to be an otherworldly destination. So otherworldly in fact that one of its most famous attractions is named after the moon: Valle de la Luna (Moon Valley). It is not hard to see why this is called Moon Valley – the surface is virtually white. 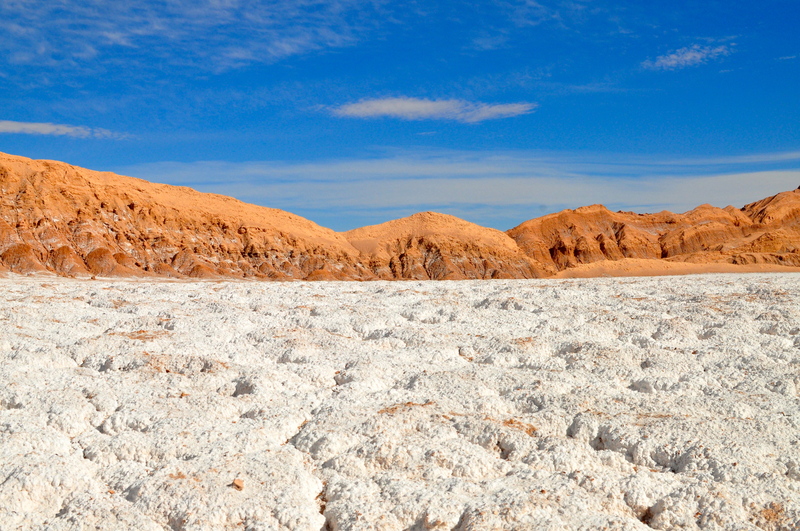 Covered in salt, this extraordinary landscape is part of the Cordillera de la Sal (Salt foothills). Formed over millions of years, water and wind shaped these unique formations: rock sculptures, caverns, caves, sand dunes and interesting patterns. This arid and barren land, with less than 1mm of rain a year, has a unique geography. Moon Valley is a beautiful spot for walking and at only 13kms from San Pedro, it is everyone’s favorite place for sunset. Nearby is the Valle de la Muerte (Death Valley), which was originally called Valle de Martes (Mars Valley) however after being continuously mispronounced the name changed to Muerte. Both namesakes seem to have good reason, as this valley has dry, red rock and sand (like Mars appears) and barely any life form can live in such brutal conditions (hence Death). The valley has actually been used many times as a film set for movies based in Mars, and as a testing ground for new space expeditions! When imagining “cool climate” wines, what springs to my mind first is the image of soggy, wet vines and miserable days of drizzle that leave your head firmly in the clouds — and not in a good way. Spending the first 25 years of my life in England probably didn’t help that image. 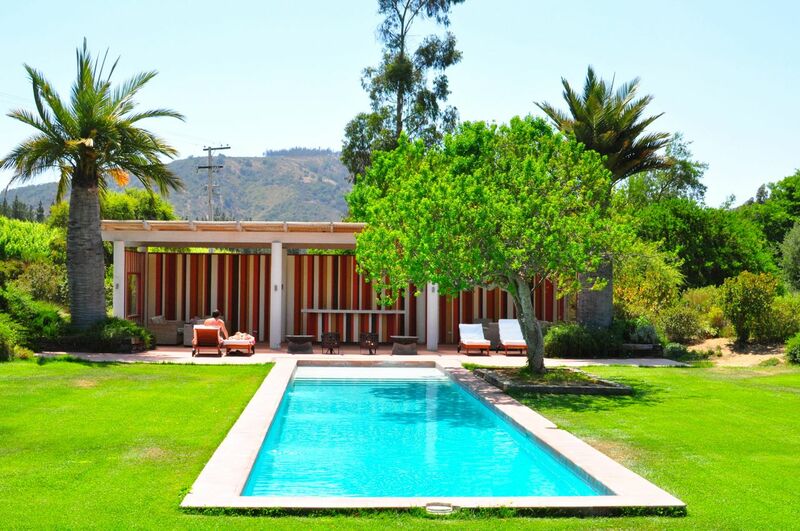 But in Chile, as I sat lapping up the sunshine by a glistening swimming pool under perfect blue skies, listening to birds squawk in the palm trees of Matetic winery’s boutique hotel in Casablanca/San Antonio, I started to question my initial impressions of cool climate. It wasn’t cold here. In fact, it was positively balmy. Casablanca might be a cool climate wine region, but visiting the area is not a frosty experience: days are filled with sunshine and warm lazy afternoons drinking copious amounts of wine as you tuck into fine Chilean cuisine. On this particular afternoon I was tucking into fresh and buttery potted crab with a glass of tropical fruit-filled Chardonnay, followed by a rosemary-crusted lamb fillet with a smooth, spicy Syrah. I couldn’t keep my top button done up, let alone keep my jacket on. While the day time temperatures and sunny climes make Casablanca a perfect holiday destination, the cooler nights mean you won’t lose any hours of sleep and can still rest nicely with a big blanket — which is good news for both people and grapes. The big difference in temperature from the sunny, skin ripening days compared to the crisp nights is what makes these wines so racy. And in the morning when you do finally wake from a perfect slumber, a fresh fog lays over the valley keeping the grapes cool and not awakening them too rudely either. The sun slowly appears through the fog, and then we are back to sunbathing. I understand why grapes do so well here: they can rest at night, and get some color during the day. And that is the secret to the success of cool climate wines … maintaining the cool acidity while developing their color, sugar and flavor profiles in the summery afternoons.